With the goal of building a statewide multiple listing service in mind, California Regional MLS has embarked on an initiative to ink data-share deals directly with MLSs throughout the Golden State. In April, San Dimas-based California Regional MLS and Silicon Valley-based MLSListings Inc. announced that they had signed an agreement allowing each MLS to pull in the other’s listings in order to provide access to their members and display them on their respective public websites. Both organizations remain independent entities. At the time, California Regional MLS CEO Art Carter said the arrangement was the next best thing short of a statewide MLS — a goal the regional giant, which serves 73,000 agents and brokers, has pursued under a variety of arrangements with associations and MLSs. Since then, California Regional MLS has signed direct data-share agreements with four Southern California MLSs, and says it has a similar deal in the works with San Diego-based Sandicor Inc., which has 17,000 members. Currently, the two MLSs have a reciprocal agreement that allows agents from each MLS to log in to the other’s system via a single sign-on link. The two MLSs have a verbal agreement that’s not been formalized in writing to begin importing each other’s listing data sometime in 2015, Carter said. California Regional MLS plans to launch a marketing campaign around its direct data-share initiative in October. The campaign’s primary focus will be to create a dialogue around data sharing and appeal to other California MLSs to join the initiative. “Real estate agents up and down the state have access to less breadth of real estate information than consumers do, and it’s time for the industry to change that,” Carter said. Consumers have access to a wealth of information on third-party portals like Zillow and Trulia. They may think they have access to the same information that real estate professionals do, but they do not, Carter said. “It’s not as accurate, it’s not as timely and it’s not as in-depth as access to information coming from a multiple listing service,” he said. California Regional MLS’s direct data-share initiative fits well into its goal of providing a statewide database for real estate practitioners, Carter said. “It’s been CRMLS’s position that for everybody’s benefit it makes more sense to have a larger entity serve the MLS needs of all of California, but absent that, we should bridge the political gaps and have a statewide database that allows brokers and agents to have the same amount of access that consumers enjoy right now,” he said. 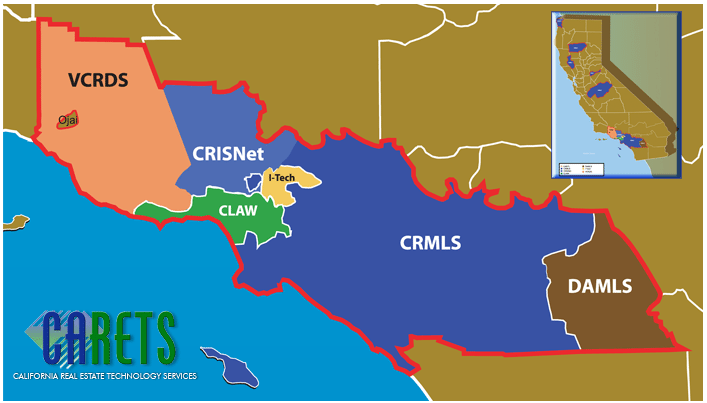 MLSs that participate in California Regional MLS’s direct data-share initiative agree to share data with CRMLS, but CRMLS does not share their data with other MLSs participating in the initiative. Should they wish to, they could either share directly with each other or can ask CRMLS to do it for them, Carter said. CRMLS has that capability, but has not offered it to its MLS partners, he added. Earlier this year, California Regional MLS said it would pull out of California Real Estate Technology Services Inc., or CARETS, a nonprofit comprised of six California MLSs that, until recently, aggregated MLS listings in 18 counties to one common database. 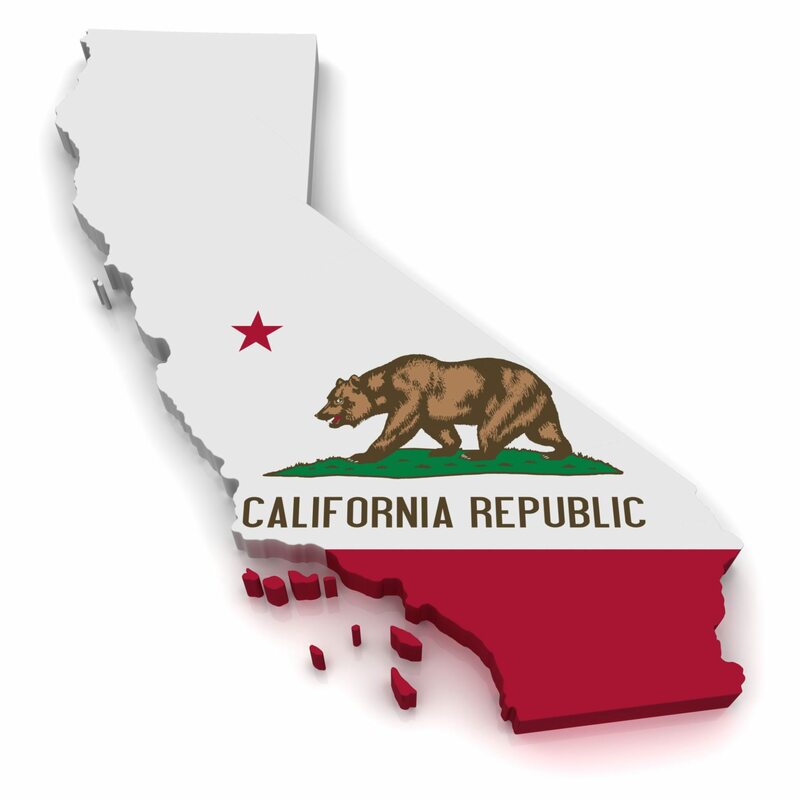 California Regional MLS cited improved in-house technology behind the decision and has said it is now able to provide data efficiently and cost effectively throughout California. California Regional MLS withdrew from CARETS on Aug. 11, and the Desert Area MLS left on Sept. 6. In June, the California Desert Association of Realtors said it had declined to sign a separate data-share agreement with California Regional MLS due to proposed governance rules. Map of area previously served by CARETS. Now, California Regional MLS has announced that it has signed data-share agreements with nearly all of its former CARETS colleagues, including the California Desert Association of Realtors. “When the first offer of data share came from [the California Regional MLS] it required submitting to their common rules, violation (and) citation policy — essentially coming under their governance and their data set,” said David Banks, a California Desert Association of Realtors director and longtime chair of its MLS committee. Banks said the change had nothing to do with concerns about less exposure for listings and a possible impact on home prices due to the association’s departure from CARETS. The association syndicates its listings to realtor.com, member brokerages including Redfin, its public-facing MLS website, and to third-party portals such as Zillow and Trulia through listing syndicators ListHub and Point2. “Having our listings shared with agents in areas of SoCal where the buyers find the properties almost anywhere online and present them to the agents with a request to see them is more the reality than an agent in Orange County searching our database for homes to show,” Banks said. The general population does not realize that much of the true value of shared data is that listings end up being displayed in many more places for the public to find them, he said. “If we share to, say, (the Pacific West Association of Realtors) and their brokers have public websites, our listings show up on them and their agents websites and so on and so on. If an agent is showing data on their Facebook feed, there we are for free,” Banks said. The data share with California Regional MLS also gives the California Desert Association of Realtors’ 3,000-plus members real-time access to active and historical property listings of about 60,000 real estate agents in areas surrounding the Coachella Valley, said association President Sharon Rogers in a statement. As part of the agreement, California Desert Association and California Regional MLS will import each other’s listing data into their respective MLS systems, a process that will take about two months. The Combined Los Angeles/Westside MLS, CRISNet MLS, and iTech MLS have already completed this process, and California Regional MLS listings are available to their members and vice versa, Carter said. The data-share between MLSListings and California Regional MLS will be live to members in October. The only CARETS MLS to decline California Regional MLS’s offer to data share was Ventura County Regional Data Share, which has about 5,000 members. When California Regional MLS advised leaders of the Ventura County Regional Data Share of their intention to quit CARETS, the latter group polled its subscribers and found “very limited interest in areas served by” California Regional MLS, said Dennis Goldstein, president of the Ventura County Coastal Association of Realtors, one of the two associations that operates the regional data-sharing effort.